British Columbia’s first ever FIRST Robotics Competition will be in Victoria at the Save-In Foods Memorial Arena on March 13-16, 2018. 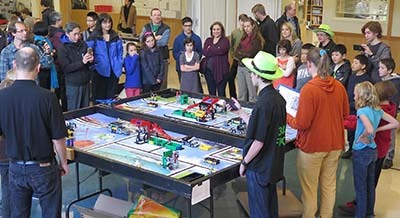 On Saturday, February 3 2018, St. Margaret’s School will host the BC FIRST LEGO League Championship. 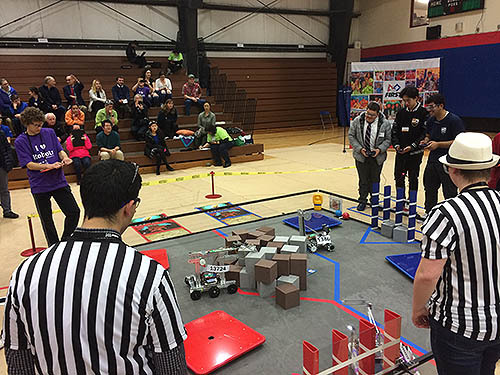 FIRST LEGO League (FLL) introduces young people, ages 9 to 14, to the fun and excitement of science and technology through team-based robotics competitions. This year’s challenge is called Hydro Dynamics. Teams from all over BC will be coming together at St. Margaret’s School to have their robots judged and compete at the provincial games. Spectators are welcome at the championship games – which are also a good introduction for those interested in forming their own teams. 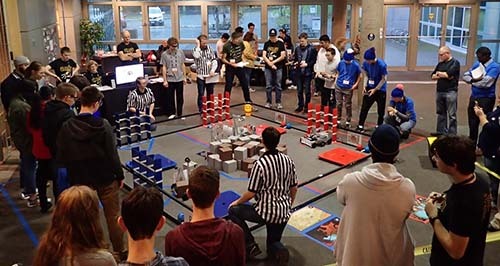 There will be rolling robot matches from 10am to 4pm on Saturday, February 3, at St. Margaret’s School, 1080 Lucas Ave, Victoria. 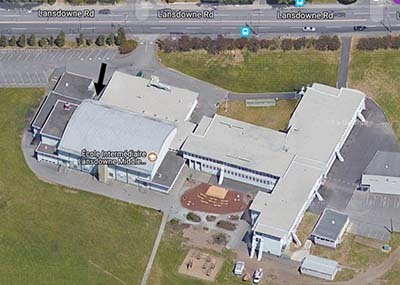 British Columbia FIRST Tech Challenge League Two will be held at St. Michael’s University School (3400 Richmond Ave.) on Wednesday January 24, 2018. 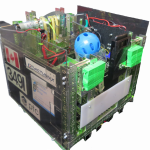 Teams will play 5 robot game matches with the scores accumulating to the British Columbia Championships on Feb. 17, 2018. Teams will have the opportunity to practice “real” robot runs. There will be judges and extra spectators for the project presentations, so teams can practice their presentation, get feedback from the judges and the spectators, and share their work with more people. 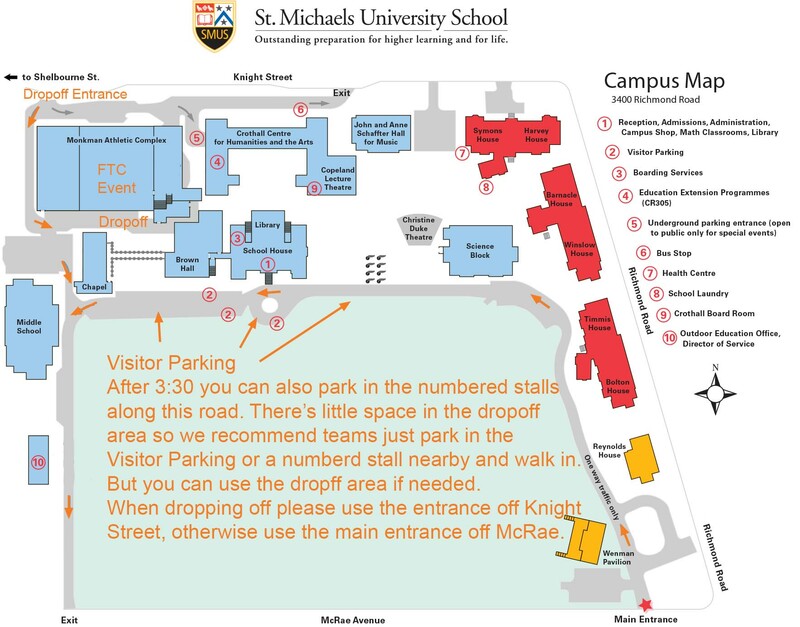 Please use the entrance marked with the black arrow (off Landsdowne Road). Kickoff marks the beginning of the design and build season. Details of the FIRST POWER UP game will be revealed. Teams have the opportunity to meet to compare notes, get ideas, make friends, find mentoring teams, learn the game, pick up the Kickoff Kit from the Kit of Parts, and get geared up for the exciting competition season.